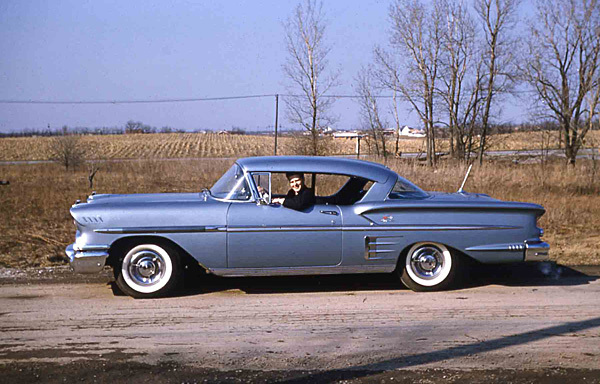 The 1958 Bel Air Impala- “Lower and Longer, Wider and Stronger… Deep Down New”! 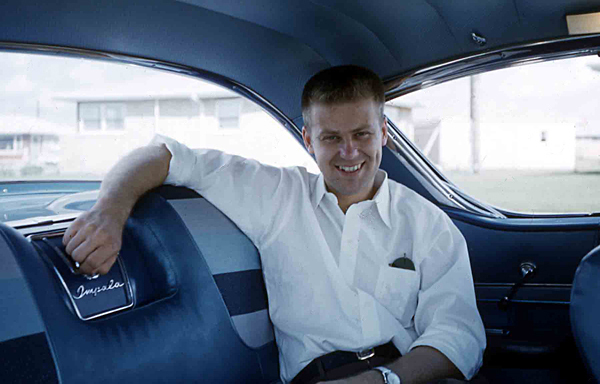 In 1958 David Ekman was a young Swedish citizen living in Chicago. The U.S. was in a recession and import car sales were booming, accounting for 10% of U.S. car sales that year. 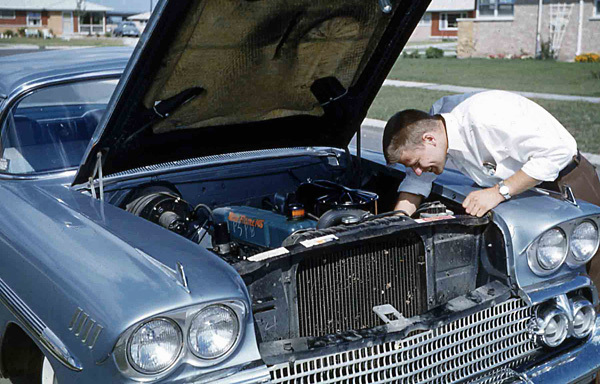 Being a practical Swede, David could have chosen a Volkswagen or a Renault to buy but David chose the flashy all new Bel Air Impala Sport Coupe. 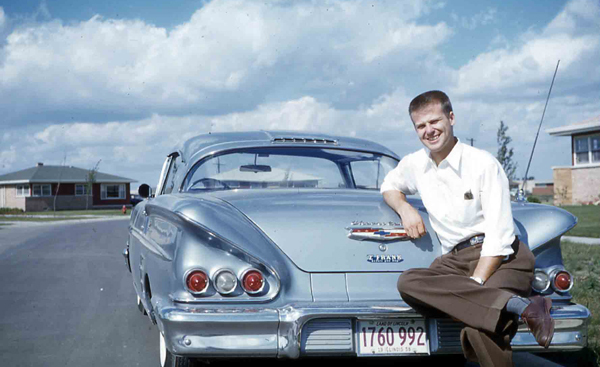 David walked into “Z” Frank Chevrolet in February 1958 and walked out with a brand new Silver Blue Impala. David’s Swedish practicality did come through in his engine choice by going with the more fuel efficient and $107 cheaper 6 cylinder engine. 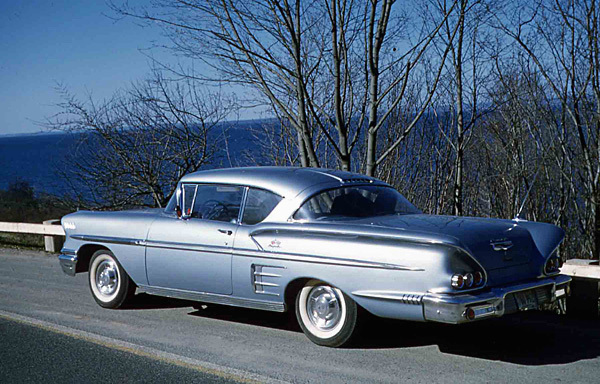 This entry was posted on Saturday, February 7th, 2009 at 9:14 am	and is filed under Chevrolet, Period Photographs. You can follow any responses to this entry through the RSS 2.0 feed. You can leave a response, or trackback from your own site. This is a beautiful blue 58 Chevy. As a young man I thought the car looked to big and bulky as a Friday night ride, but now that I am older she is so much more appealing and charming. http://www.ameicascorvette.com Still my 1976 Corvette probably weights as much. 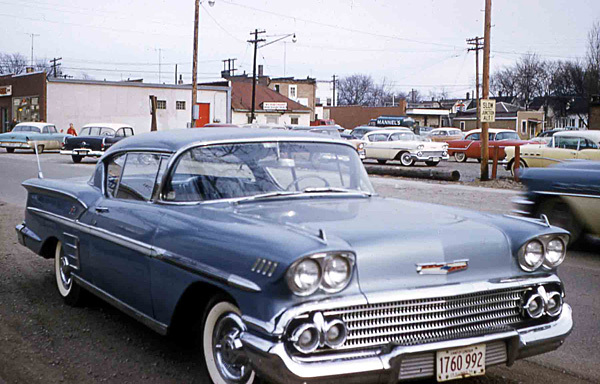 i owned the same color new 58 impala except mine had the 3 X 2 348 engine with 3 on the tree. My best friends’ uncle bought this same model…only in gold metallic. He was a teacher at our grade school. 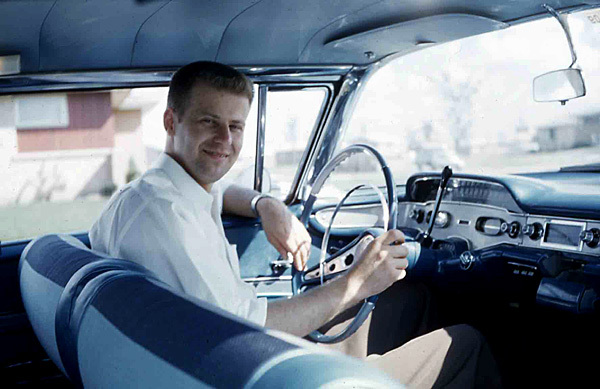 I used to stare out the window everyday at this beautiful automobile, and my friend used to call me up whenever his uncle came to visit just so we could look at the car close up! That’s when I fell in love with cars…and I’ve been in love ever since! Those were REAL cars! I think we were the lucky ones; we were spoiled by the beauty, the chrome, the style and the variety of design from make to make. Sorry, but there’s not much to dream about these days, but I can accept that it’s probably generational. Hard to believe that someone could fall in love with a stereotypical SUV or 4 door sedan, much less a van these days, but each to his own dreams. I miss the originality…I also miss the anticipation of the new fall models! It’s hard to get excited these days when everything looks the same and the only way one can really tell one car from another is by the logo! Oh well, like I said…I think we were the lucky ones!